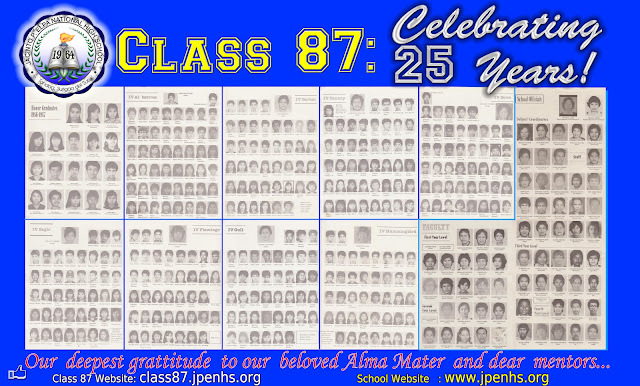 We thank the members of Class of 1987 and their families for the support, our teachers who joined us during the 5th Grand Alumni Homecoming. It was a very memorable occasion for us former students to be back home, reunited with our beloved teachers and high school friends...it really was more fun this Silver Jubilee, so enjoyable...meeting old friends, reminiscing the past, singing and dancing! Our Silver Jubilee Night and Tribute to Teachers on May 13 at Shacene was a great, memorable activity! 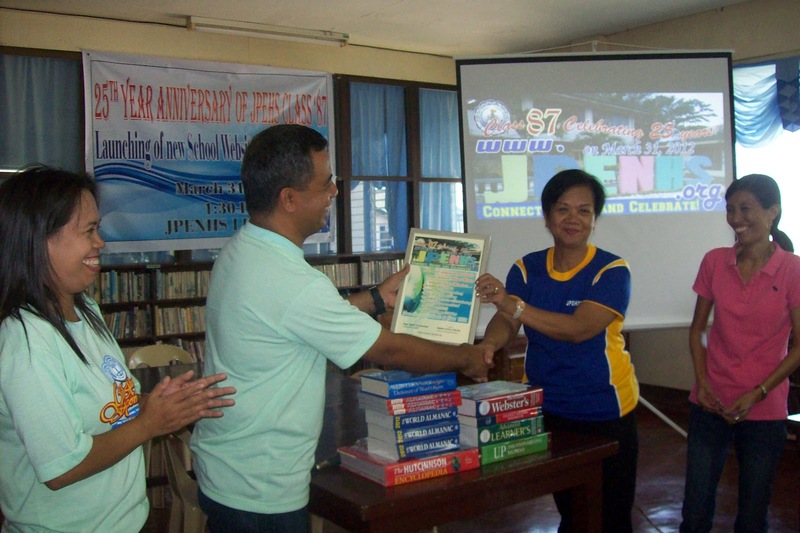 More fun recalling the memories with classmates and teachers headed by Maam Imelda Falcon! Thank you Maam Falcon for the recognition and great inspiring words, to Maam Grefalde for bridging the school and the alumni, and to Maam Sofia Patrimonio for the great inputs thru the song / best wishes, May the Good Lord Bless and Keep You! See you all in 2015 and with great wishes to the our Golden Jubilee! We had very happy and memorable moments celebrating our Silver Jubilee today at the school ! 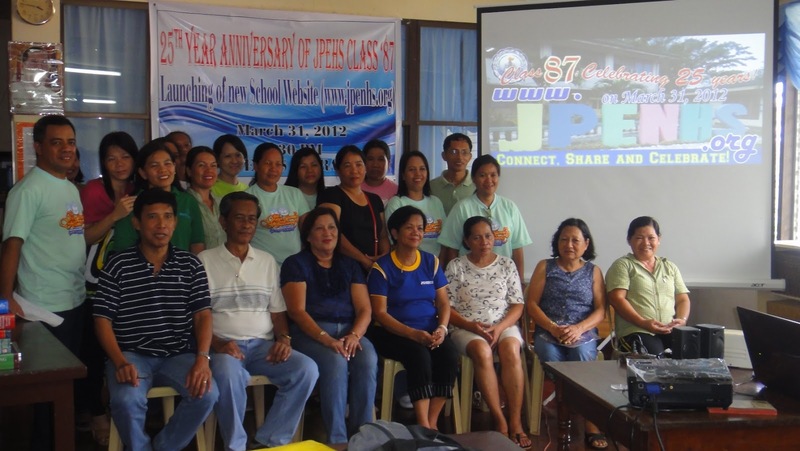 We were joined by Maam Imelda C. Falcon, the School Principal and former Class Adviser of IV-Dove in 1987, Maam Francisquita Cosmiano, Maam Carmencita Obaob, Maam Aida Polinar, Maam Cerelita Cabael, Sir Estelito Orozco, just retired teacher Sir Ruben Urbiztundo, the new teachers who were included in the school and the year-level website committees, the librarian and other members of the admin. Some students website project volunteers joined us today. Salamat sa mga classmates na mi-attend nan meeting, and sa wara ka-attend but expressed support to whatever was agreed. March 31, 2012 (1:00pm) - Silver Jubilee Program, launching of school website, ICT seminar for classmates, selected teachers and students. Per estimate , we should raise at least P75,000.00. Lunch during the planned gala program and tribute to teachers not yet included. Solicitation letters, signed by yours truly and Melissa Torrico, will be sent thru emails for those who are not in Tandag. Solicitation may also be addressed to our friends, individuals and corporations, just let me know whom to address it. The PNB bank account number to be used for transfer of your gifts/donations will be indicated in the letter once available. Different modes of transfer maybe used as long as its available in Tandag City. 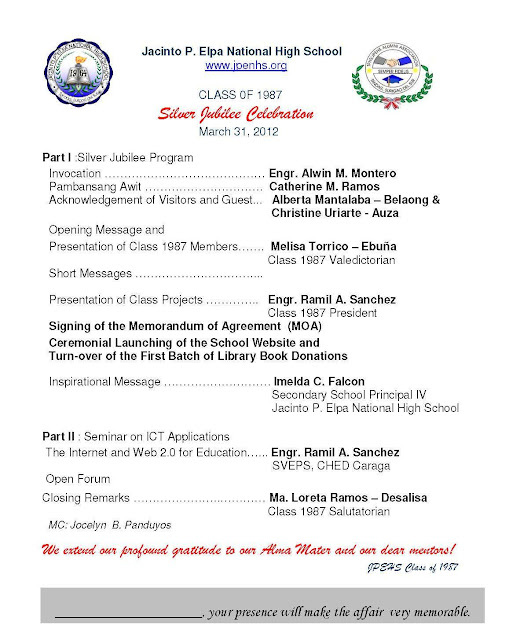 Lets work together for a meaningful and memorable Silver Jubilee Celebration! Please note that even without the invitation and solicitation letter yet, we shall count , acknowledge pledges. for reference the sample copy (not yet signed will be posted, for advance info. Assembly Meeting on January 28, 2012 @ 9AM, Kubo ni Agu Restaurant, beside Emcor, across Tandag Boulevard. We shall elect our new set of officers and have the final tasking. Final set of projects/activities and partial commitments/pledges will also be discussed. 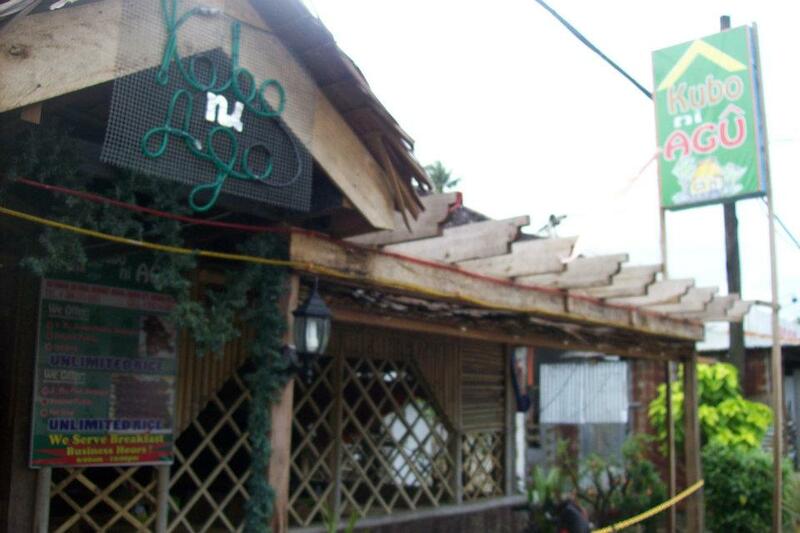 For lunch, let's chip at least P100, the surplus will be used for the Silver Jubilee preparation. If you have suggestions, please give it now. Salamat kadayaw. Please pass. Proposed projects, tasking and partial pledges here. @ Mabua Beach. Read the Minutes of Meeting here. @ JPENHS Computer Lab. Read the Minutes Here. We visited last night the bereaved family of late Maam Grace E. Crispo, to express the sympathy of Class 87. We personally met Sir Crispo, children, Adonis and Agnes. Loreta, Alberta and Christine joined me the giving of a memorial card from Class 87. We say thank you and goodbye to our dearest Maam Ging, a dedicated educator, a loving mother to 3 Crispo children and thousands of graduates of our dear alma mater. Interment will be today, Saturday, June 25, 2011. 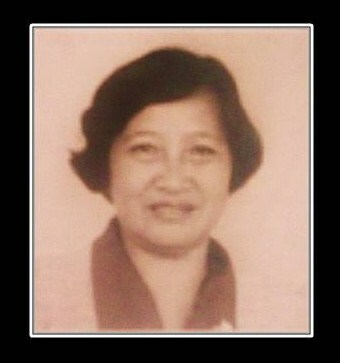 Maam Ging's body will be brought to the Tandag Cathedral at 1pm. Necrological Services will be at our school's covered court by 2pm. Maam Ging will be laid to rest at the Tandag Memorial Park, Brgy Rosario.